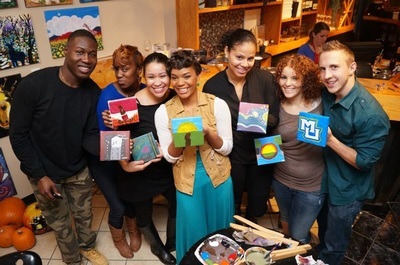 Splash Studio was built to celebrate life events. 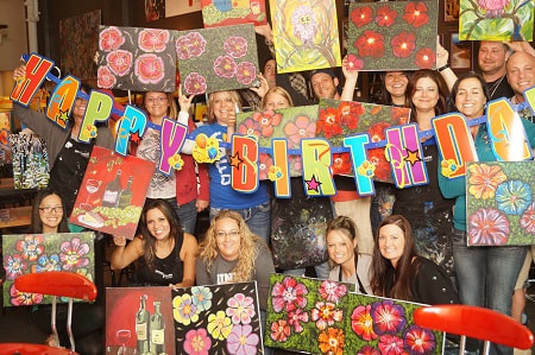 The space is adaptable to any event you can think of: birthday parties, holiday parties, bridal showers, fundraisers, bachelor & bachelorette parties, sorority/fraternity socials, family reunions... you get the idea. When we do a bachelorette party, we do it right. 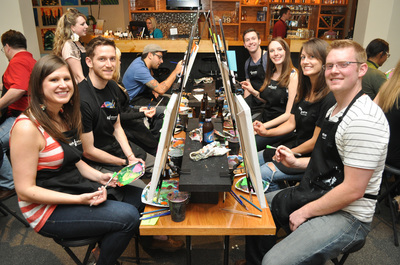 Your next birthday party needs the #beerandpaint treatment. Let us upgrade your party by turning on the blacklights and busting out the glow paint. 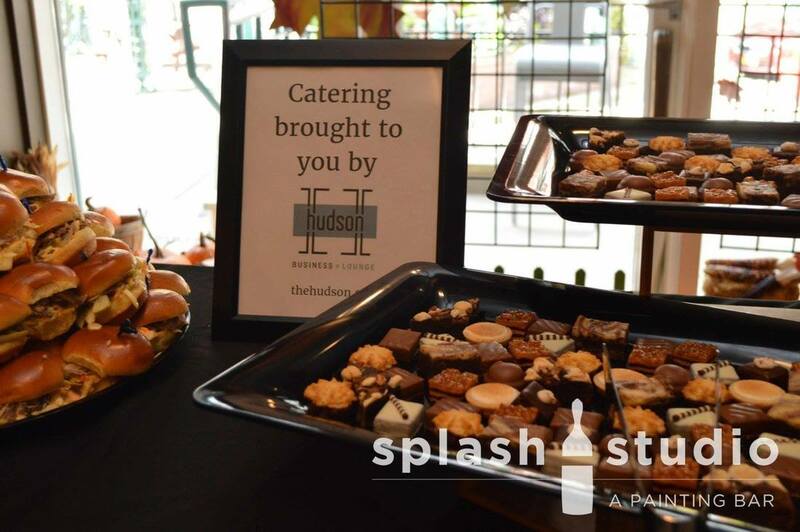 Located just a block away, HUDSON Business + Lounge is the preferred caterer of Splash Studio. 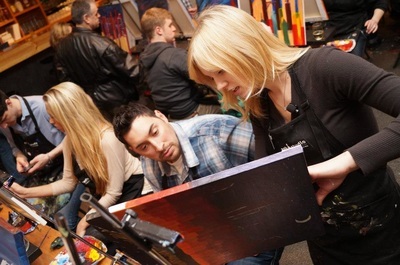 Choose from one of HUDSON's five catering package options (prices range from $12-$35 per person), and enjoy a delicious, stress-free painting event. 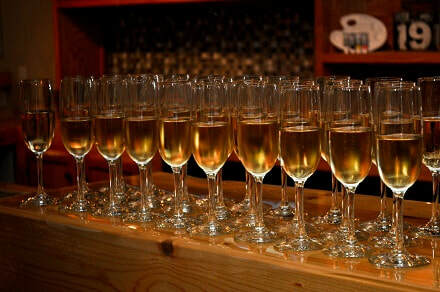 Contact us for details or view the HUDSON catering menu. Bring in your own food or catering:​ You always have the option to bring in your own caterer and/or supplement with outside food. No outside beverages may be brought in. Let HUDSON’s catering team do the work. When you're happy, we're happy. 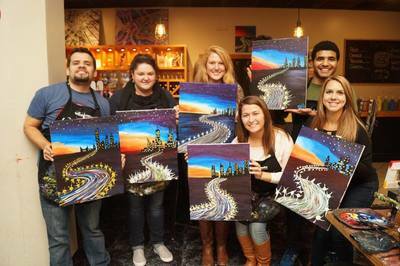 Contact us for a quote for private non-painting events or off-site events - 414.882.7621 or info@splashmilwaukee.com. 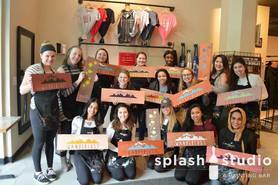 Call 414.882.7621 or email info@splashmilwaukee.com to begin planning your event. Ages 16+ welcome. All members of your party must be at least 16 years old.